On January 8, 2014, my mother passed away. As far as we know, she died peacefully and quickly in her sleep. I guess it's not a bad way to go, but we were shocked at her sudden and unexpected death. Naturally I'm grateful to my mother in many ways, but for the purposes of this blog, I'd like to pay homage to her for getting me started on the garden path. Both my parents gardened when I was a little boy. We had a large garden - or what seemed large to me at the time - on the one flat patch of land what is otherwise a vertiginous piece of suburban Pennsylvania land. The garden was enclosed by a fence, chicken wire perhaps, but rabbits would still tunnel underneath and groundhogs would clamber over. My father's job (as he tells it) was to dig and remove the countless rocks that made their way to the surface each year. No matter how many he dug, new ones seemed to migrate upward. I gather my mother did more of the sowing and watering. My brother, my sister and I were sometimes given the task of harvesting. I seem to remember in particular snapping off ripe corn cobs and then husking them outdoors so my mother could make sweet corn on the cob in the summertime. And that was that. The garden later fell into disrepair when my parents tired of battling the challenging soil and the countless varmints who lived in the woods behind the house. In the 1980s, we installed a pool in the backyard where the garden had once stood. The pool is still there and has been the scene of many happy memories. Through the intervening years, my inner gardener slumbered. When my mother asked my teenage self to come help her push a cart at the garden center so she could buy bulbs, ferns, perennials and her beloved azaleas, I complied but only with much grumbling. I was more interested in baseball, girls, movies, books and computer games (not necessarily in that order). Oh I always loved Nature. Some of my fondest memories from my college years in New England involve hikes with my girlfriend or other friends through autumnal or wintery woods, but I spent a much greater percentage of my time holed up in vast libraries trying to decipher the wisdom supposedly set down by Great Thinkers. Then came a decade in The City, where nature was pushed to the edges like an afterthought. The years passed quickly, hurried along by the rushing pace of the ceaseless crowds. But I think the door back to the garden cracked open just a little there when I found myself irrationally fixated on a houseplant. I lived in a Brooklyn apartment that looked out on a concrete courtyard and the back wall of a municipal building. Outside of a narrow slice of sky, the view was entirely unnatural. But there in a corner of the apartment thrived a tough and forgiving plant, the only green living thing in sight. I can't remember the name now, but I think it was a type of Sansevieria. I met my wife in The City and together we finally left in late 2009, journeying down to Tennessee (taking the houseplant with us naturally). We got an apartment at first, but at least this one had views of some woods. The apartment also had two balconies and on one of these, we installed a few pots - a bucket of hyacinths that my sister had sent as a housewarming gift, and then my first foray into edible gardening in nearly 30 years: a pot of basil and a pot of mint. With just water and sunshine, we could harvest herbs to enliven our meals. And yet even then, as we made the decision to put down roots here in Tennessee and look for a house, the garden was still somewhat of an afterthought. I was so ignorant that I gave little thought to the landscape around the houses we toured. We knew we wanted a patch of land for space and privacy, but the content of that land - the topography, the plants, the soil, the wind, the light - these were things that I mostly overlooked. We picked a place, moved in March 2011 and I remember going shopping with my wife for seeds. She chose Cosmos and Zinnias. The first brave seedlings popped out of the ground a little while later and I was in love. That was just a few years ago, but I'm glad I had those few years to reconnect with my mother on the subject of gardening. We had wildly different gardening styles and tastes. She loved azaleas, crocuses, tulips, daffodils, daylilies, roses, rhododendrons and hostas. She could not understand my enthusiasm for sunflowers. She lamented the fact that the mature trees on the property she and my father shared in Pennsylvania -- the same land where I had grown up 30-plus years earlier -- cast too much shade on the roses and blueberries. I sympathized, even if I was stuck at the other extreme with a sun-baked backyard in a much newer development practically devoid of shade. For years, my siblings and I tried to encourage my parents to sell the old homestead and move to something smaller, less hilly and more sensible, but she refused to countenance such a step. The driveway may have been steep and treacherous, but she loved the hillside perch with the backyard forest with all the birds who came to visit the porch feeders in the winter. (She did not love the grey squirrels forever trying to figure out a way to knock down the feeders and devour the seed therein, but she got her exercise jumping up from the table to chase the squirrel away whenever it made its appearance.) When the leaves fell, they revealed a valley vista that stretched for miles. Recently she had begun spending winters down in Longboat Key, Florida. My older brother generously rented and then ultimately purchased a condo for her overlooking the Gulf. She loved to watch the dolphins who would swim offshore and the pelicans smoothly gliding by and then suddenly plunging into the surf in search of their aquatic prey. When my wife and I visited her there, we would go to Marie Selby Botanical Gardens to admire the orchids or stroll the Ringling Bayfront Gardens. On our last trip in the winter of 2013, she booked a garden tour for us at the Ringling where we marveled at massive banyan trees and admired the brilliant amaryllis. This past summer, the last time I saw her, my siblings and I all gathered for the first time in perhaps 25 years or more at our old Pennsylvania home. The humidity was enervating and the mosquitoes were more vicious than I'd ever remembered, but I prevailed upon everyone to take a daytrip to a nearby pleasure garden called Chanticleer that none of us had ever visited before. My sister's son was there too - not yet two years old at the time - and I think my mother really enjoyed seeing him explore the garden. I remember him being especially fascinated by the sleek koi who came to the edges of their pond to gaze up at us curiously, beseechingly. Even at Chanticleer we had our differences. I think she found it hard to understand why I hoped (and still hope) to add Rattlesnake Master, Eryngium yuccifolium to my garden, but even as others rushed ahead to complete the tour and escape the sauna-like combination of heat and humidity, we took our time to examine a rampant, lush Dutchman's Pipe vine or marvel at a hedge of hydrangeas in dazzling full bloom. I wish my mother could see my garden this year. I wish she could be there at the end of this long, cold winter when the frozen ground softens, when the daffodils raise their cheery heads, when the bees return to work the coneflowers, the crape myrtles, the sunflowers, the cosmos and the vitex. I am still such an inexperienced and foolish gardener, still fumbling my way along, making myriad mistakes to accompany my few successes. How I wish she would have lived to see my garden flourish, that she could have walked along the paths I dream of making under shade trees not yet planted, along vegetable garden beds I have not yet sowed. How I wish I could show her the garden of my dreams that I hope to bring to fruition someday. And yet I am grateful -- grateful that we had some years to talk about gardens, to reminisce about the vegetables she used to grow, to hear her explain why peas taste best straight from the vine (because the sugars turn rapidly to starch once the pods are picked), to share news about which birds we'd spotted frolicking in our backyards. I'm thankful that she introduced me to gardening those many years ago. As the obituary below indicates, my mother was a teacher both by profession and temperament. She taught me a great deal about gardening and about life. I know whatever I manage to grow now and in the future will spring from a seed she planted in me long ago. And I hope that her heaven is a seaside garden, redolent with roses, ablaze with azaleas, with a shaded bench to watch the dolphins and pelicans just offshore. I hope I can visit her there someday. Accomplished college professor, beloved mother and grandmother, Cecile Kaplan Dalton passed away January 8, 2014 at the age of 77. The only child of Yetta and Nathan Kaplan, Dr. Dalton was born on November 29, 1936 in Chicago, Illinois. She graduated Phi Beta Kappa from Northwestern University with a bachelor’s degree in chemistry. Although they grew up blocks apart on Chicago’s West Side, she and her husband Dr. David R. Dalton first met in college at Northwestern’s Chemistry Club. They went on to earn PhD degrees in chemistry from UCLA in the early 1960s and then moved to Columbus, Ohio for post-doctoral work at Ohio State University before eventually settling in the Philadelphia suburbs. Cecile and David Dalton were married 56 years and had three children together: Nathaniel, Rachel Bailey and Aaron. Dr. Dalton had a successful career in both industry and academia. For many years, Dr. Dalton taught organic chemistry at Swarthmore College, Bryn Mawr College and Temple University. She had a passion for teaching post-baccalaureate students who had returned to college to complete their prerequisites for medical school. Dr. Dalton loved opera and classical music. After she retired from academia, Dr. Dalton applied her considerable organizational talents to serving as an Officer on the Board of Directors for the Philadelphia Opera Guild. An enthusiastic traveler and bon vivant, Dr. Dalton enjoyed trips to Japan, the Caribbean, Israel and especially to her beloved Florence, Italy where she would rent an apartment for months at a time and immerse herself in the language and culture. 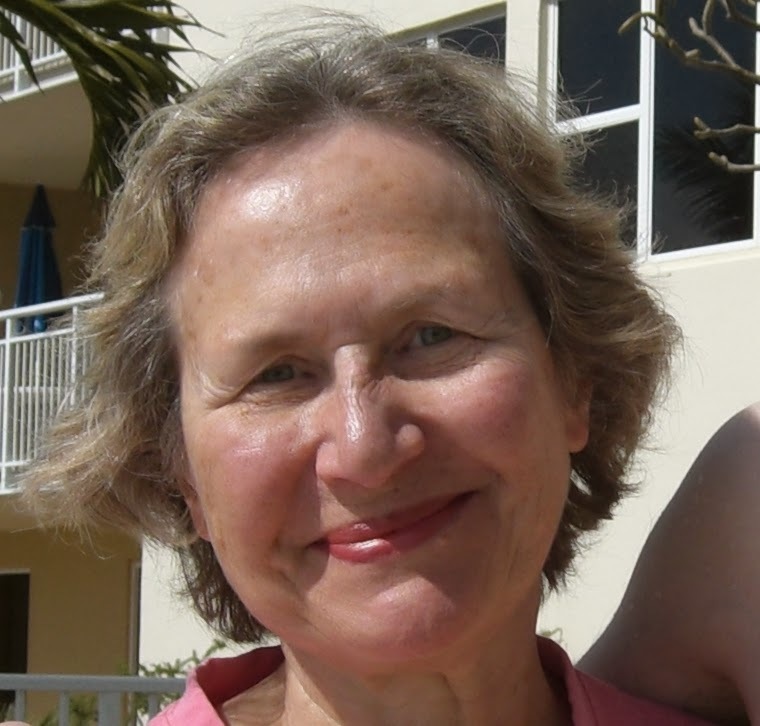 In recent years, Dr. Dalton had begun spending the winters in Longboat Key, Florida, where she made new valued friendships, volunteered in the library at Temple Beth Israel and supported the educational and conservation activities of the Mote Aquarium. She is survived by her husband, her children and four grandchildren. Graveside service and burial took place Sunday, January 12th at Chicago’s Westlawn cemetery, Eastview section, 7801 West Montrose Avenue, Norridge, IL 60706. In lieu of flowers, contributions in Dr. Dalton’s memory are requested for American Friends of Magen David Adom (PO Box 52158, Philadelphia PA 19115) or Mote Marine Laboratory & Aquarium (Attn: Development Office, 1600 Ken Thompson Parkway, Sarasota, FL 34236).